The National Association of Legal Investigators (NALI) today announced the election of Region III Director Jay Marin of Miami Lakes, Florida. Mr. Marin will start his term September 1, 2017. NALI is the premier association for investigators, specifically those who gather evidence admissible in court. The work done by the legal investigator in preparing a case for trial is indispensable to the competent and successful trial attorney. Most U.S. law firms employ one or more legal investigator. 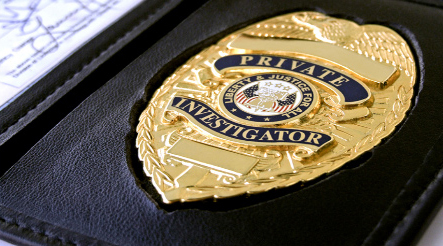 Marin’s Specialized Investigations Consultants (SIC) is a professional investigation company founded, owned and operated by current and retired law enforcement professionals. Based in Miami they serve South Florida with over 100 years of combined State, Federal and Local law enforcement experience. “As Region III Director, I look forward to communicating with members about NALI programs, meetings, membership participation and recruitment,” Marin said. The Regional Director forwards regional news to the editor of THE LEGAL INVESTIGATOR and the NALI NEWS. In his role as NALI Region III Director he will communicate with members in Alabama, Florida, Georgia, North Carolina, South Carolina, and Tennessee. Membership in NALI enhances the abilities of legal investigators and supports members professionally throughout their careers. The nation’s top legal investigators mentor members in cities across the U.S. Members can access the collective power of NALI with just a click of the mouse. To qualify for NALI membership, an applicant must have a minimum of twenty-four (24) months of documented full-time employment as an investigator in these fields. For more information on becoming a NALI member visit: www.nali.com.